Hay guys I am back with my latest retro offerings and this ones a corker, its been sitting on my desktop for a good few months now so i used my 1000 post as a reason to get it finished and packed, created a long time ago in a scene far far away(back in the 90's). 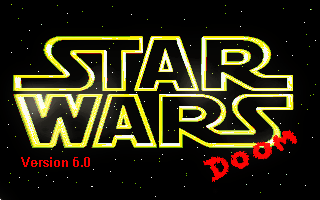 I used prboom plus changing the game folder path and freedoom.iwad as a base and built up the star wars files found here and merged them into the iwad, i've also included the dark hour doom weapon pack in options/general just delete the 1 at the end, and restart. Level Ten - Dagobah Surface ??? if you want to cheat and skip levels hold R3 until the OSK comes up and click Page down, hold R3 again to reselect joystick. I know there is a few levels missing/mixed up but it does make a nice little game also it searches usb root for any other .iwad files, all credit go's out to the the old doom modders behind star wars doom, and Robo Hobo for prboom port.